Lao Simons was born in San Jose, California, in 1870. Her father, the Rev. Ezra D. Simons, was a chaplain who had served in the Civil War before traveling west and meeting Lao's mother. The family moved back east when Lao was only 6 months old. She went to school in New Jersey, then earned a teaching certificate from the College for the Training of Teachers, later Teachers College of Columbia University. She spent three years teaching in a preparatory school in Suffield, Connecticut, followed by an unhappy year teaching elementary school in South Orange, New Jersey. She then studied mathematics and astronomy for a year at Vassar College. In 1895 she received an appointment at Hunter College where she remained for the rest of her professional career. The appointment to Hunter did not require a bachelor's degree, but to satisfy her own standards, Simons went on to earn a B.S. (1908), M.A. (1912), and Ph.D. (1924) from Columbia University (with additional course work at New York University.) Her dissertation was published by the Bureau of Education, Washington, D.C., as the pamphlet Introduction of Algebra into American Schools in the Eighteenth Century [Abstract]. Simons was one of the first mathematics professors at Hunter to teach elective courses in mathematics beyond the required work of the students. These included methods of teaching secondary school mathematics, projective geometry, and her own special field, history of mathematics. As Carolyn Eisele wrote, "As Heifetz is a violinists' violinist, so was she a teacher's teacher, both by performance and example; and formally so in the methods course over a long period...Students in all her courses were aware of her fine teaching technique and later emulated it whether consciously or otherwise." Simons was the head of the mathematics department at Hunter College from 1927 until her retirement in 1940. She traveled extensively, including trips to the 1932 International Congress of Mathematicians in Zürich and the 1936 International Congress of Mathematicians in Oslo. Simons served as the Book Review Editor of Scripta Mathematica from 1932-1949. She wrote numerous articles about the history of mathematics that were published in The Mathematics Teacher, the American Mathematical Monthly, and Scripta Mathematica. 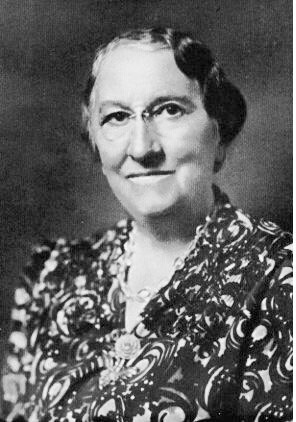 In 1936 she published a Bibliography of Early American Textbooks on Algebra (available online from the Harvard University mathematics department) describing those books published through 1850, together with a characterization of the first edition of each work. A 1936 article in Scripta Mathematica discussed "The adoption of the method of fluxions in American Schools" [Summary]. Her 1939 booklet Fabre and Mathematics and Other Essays (also available online from Harvard University) provides some insight into the teaching of mathematics at the end of the eighteenth century. Louise Grinstein. "Some 'Forgotten' Women of Mathematics: A Who was Who," Philosophia Mathematica 13/14 (1976/77), 73-78. Carolyn Eisele. "Lao Genevra Simons," Scripta Mathematica 16(1950), 22-30. Obituary, New York Times, November 26, 1949, p15.